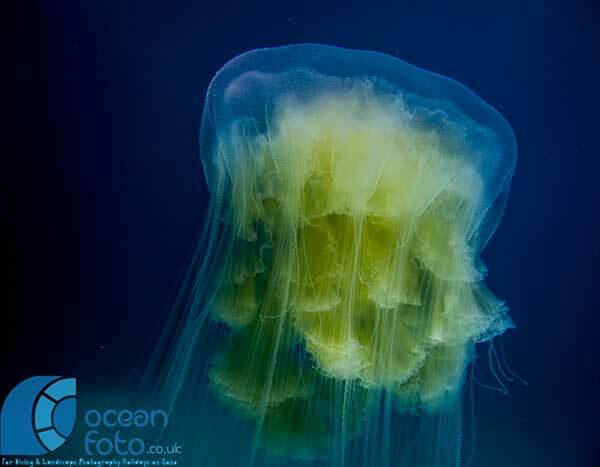 The egg-yolk jellyfish, spotted for the first time for Maltese waters (photos courtesy of www.oceanfoto.co.uk - Pete Bullen). Despite our waters being constantly monitored by a variety of users, new marine discoveries are still possible. The Spot the Jellyfish team were in fact recently alerted about the sighting of an individual of the egg-yolk jellyfish (Phacellophora camtschatica), a large jellyfish species whose bell diameter can reach a maximum of 60cm. The sighting was made by Pete Bullen (www.oceanfoto.co.uk) and the jellyfish was identified by Prof. Stefano Piraino from the University of Lecce. The egg-yolk jellyfish, despite its large dimensions, only imparts a very mild sting and is known from many parts of the global ocean, including the Atlantic and Pacific Oceans, but is a rare occurrence in the Mediterranean, having only been recorded a number of times from western and central parts of the Basin. 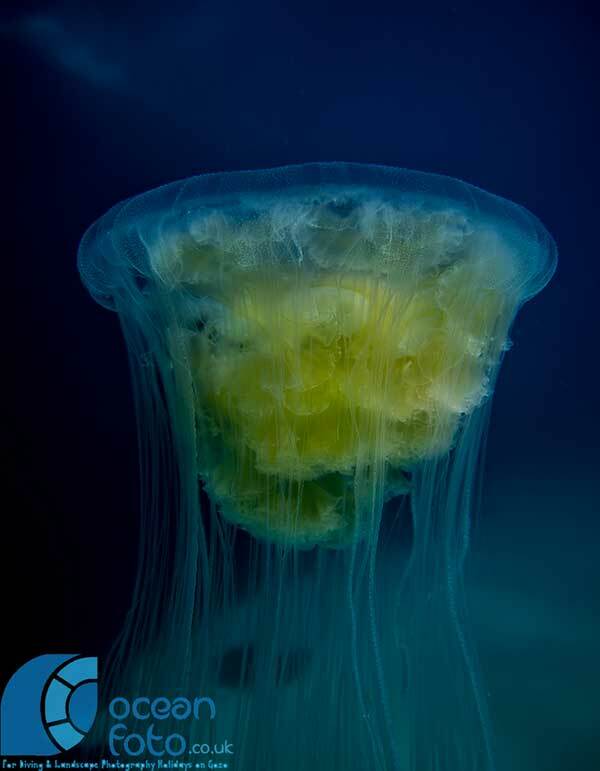 It preys on other smaller jellyfish species, including the moon jellyfish (Aurelia sp.) and it provides shelter to the juvenile stages of a number of carangid fish species (e.g. jacks and mackarels). 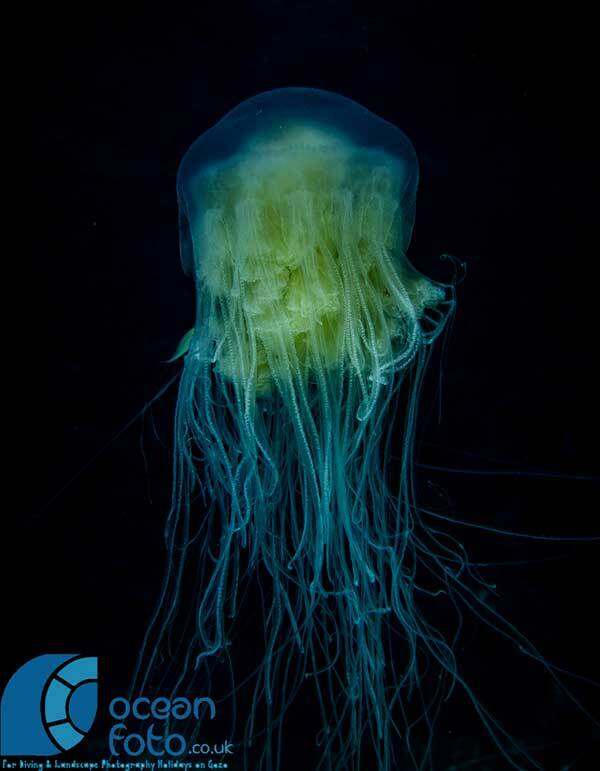 Almost 40 macroscopic gelatinous (‘jellyfish’) species are known to date from Maltese waters, with the Spot the Jellyfish contributing almost 10 new species records to such a list ever since it kicked off in June 2010. Submissions to this campaign, supported by the MTA, Blue Flag and the IOI (International Ocean Institute), can be made through the campaign website (www.ioikids.net/jellyfish) or through its facebook page or by emailing the Coordinator, Prof. Alan Deidun (alan.deidun@gmail.com) from the Department of Geosciences at the University of Malta. A new set of Spot the Jellyfish seaside jellyfish boards will be installed at local beaches by early May. An improved jellyfish dispersion model developed within the ambit of the MED-JELLYRISK project (www.jellyrisk.eu) will be released for public use in the coming weeks, in time for the next bathing season.